Live the Island Life, whatever your location. Regardless of your job, home location and daily commitments; when you have a love for the island ‘way of life’ deep-rooted in your soul, it very rarely goes away. You know who you are; you love to walk in bare feet, city life makes you feel closed in, and you want to wake up to the freedom that the ocean breeze instils every day. While that’s the ideal, for many, circumstances dictate that you must wear heels to the office and your abode is a small unit in the middle of the city. Not very islandy at all! That’s where our unique home styling ideas come in. Your bedroom can become your own private island… an oasis away from the everyday. 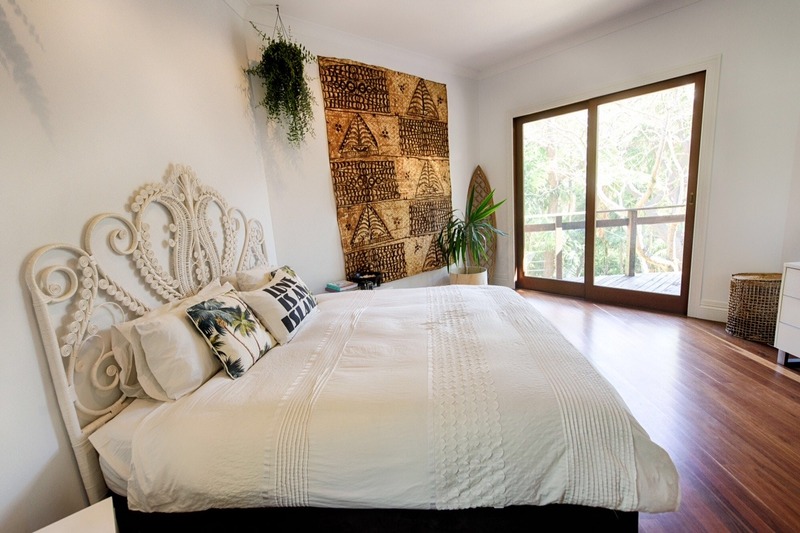 Featuring cushions by Kawaiian Lion & Escape to Paradise, peacock bedhead by The Family Love Tree and Leilani surfboard by Fleur Yorston Designs. For some, there are certainly some hurdles to get over in order to live the island life but those obstacles by no means make Island living impossible, regardless of your location. Turning your home into an island inspired haven helps to honour the free spirit that might lead you around the world on various holidays, backpacking trips and soul-searching retreats… picking up unique and sentimental pieces from worldwide travels. Pieces collected become precious memories of times spent with family and it’s those holidays of a lifetime that can change people’s worlds. And if not, it is those sentimental pieces that make a well-styled house a comfortable, loving home. As a creative artist by nature and twice finalist in the 2012 and 2014 Jacaranda Acquisitive Drawing Award, I also hold a Masters in Fine Arts and have always had a passion for all things interior design. 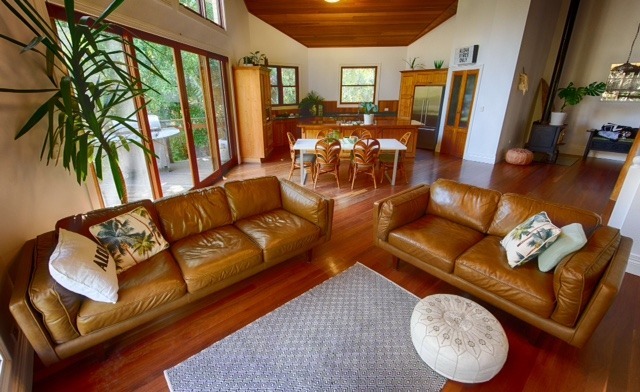 My unique approach to home styling has inspirations beginning with my childhood in New Zealand, to walking the sunny beaches in Fiji (a place where we almost set up home), renovating my rural home and now drawing inspiration from my beautiful home town of Yamba in northern New South Wales. When designing your island abode, draw on your own unique experiences and passions to create a space that is authentically you. Adding pieces that appeal to your innate character will ensure that you’re creating a space that you can connect to as well as live in. 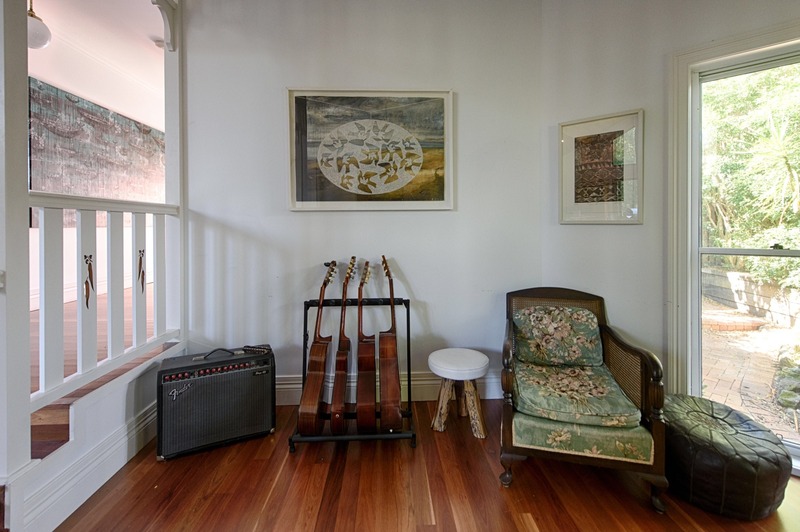 It is these items which not only look great, but are fundamental in making your house a home. 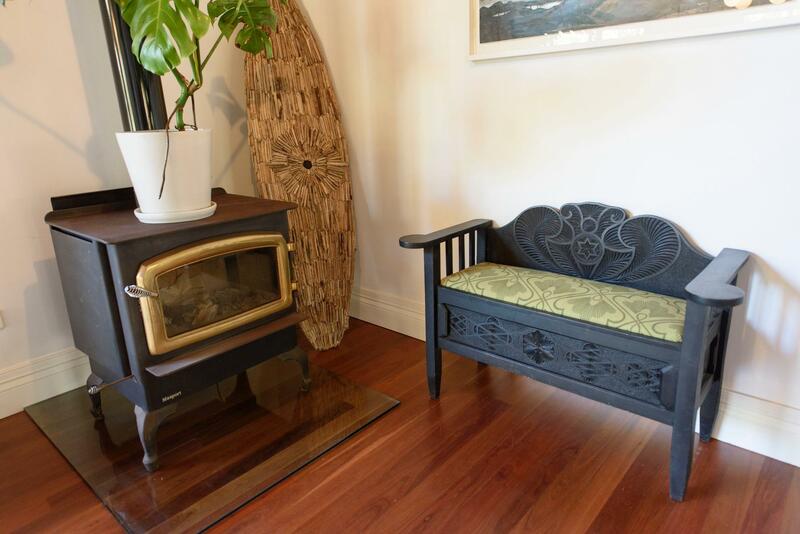 Brightening a space with nature… a vintage fireplace, sculptural surfboard and intricate bench seat provide both a talking point and an inviting corner to sit. Interior design is not just about home styling though. 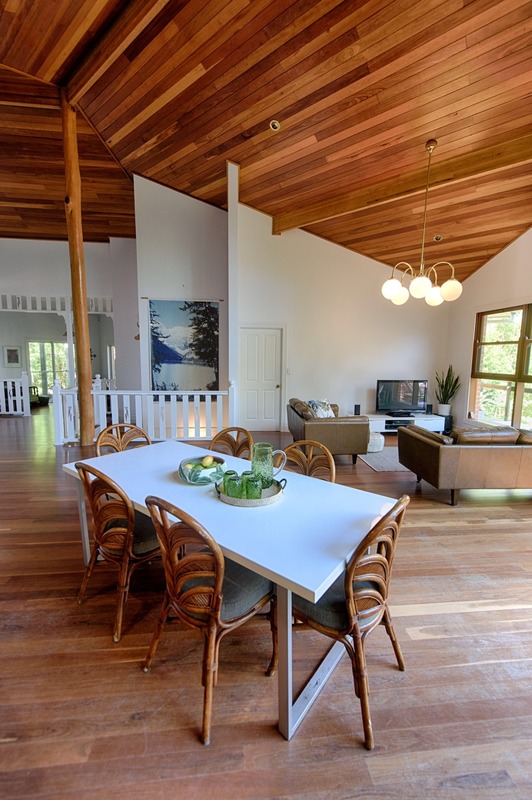 If you’re looking to create island inspired or beach style homes of your own in an urban or rural environment, it could involve renovations to bring more light into the space, or taking walls down to create a roomier area. Bright white walls offer a crisp palette and higher ceilings invoke a sense of space. This space and clarity created in your area is synonymous with ocean living and will give you more peace and tranquillity as soon as you set foot in your home. 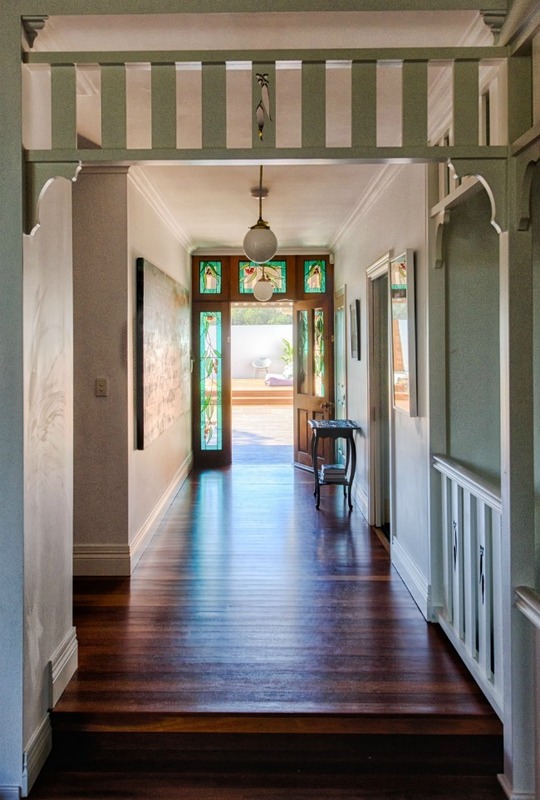 Our light and bright entranceway sets a welcome theme for the rest of our home… endearingly known as Rancho Relaxo. Crisp white walls and high textured ceilings flow with our beach theme… along with our much loved, island-inspired rattan dining chairs. 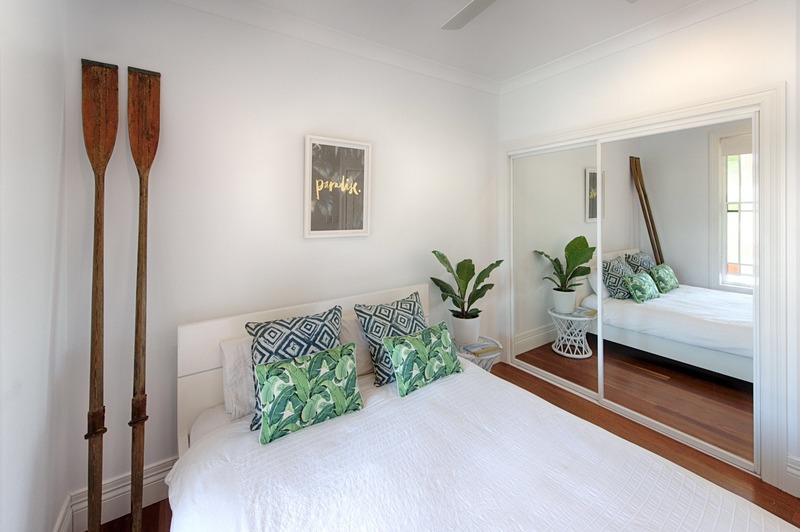 Some of our favourite brands make up this light and bright bedroom… Losari, Blacklist Studio, Walter G and Escape to Paradise… plus a touch of nature and some vintage oars to continue our island style… every guest instantly feels at home in this space. Our unique range of products are available at our concept store in beautiful Yamba and are also available online, so your location is not a problem. Get started on your home styling here.